Horror remakes were a bit of a fad during the 2000’s and even into the 2010’s, but one production company knows that quality will always outweigh familiarity. Platinum Dunes, a production company who came into the game in 2003, has vowed that they will no longer produce remakes and reboots. 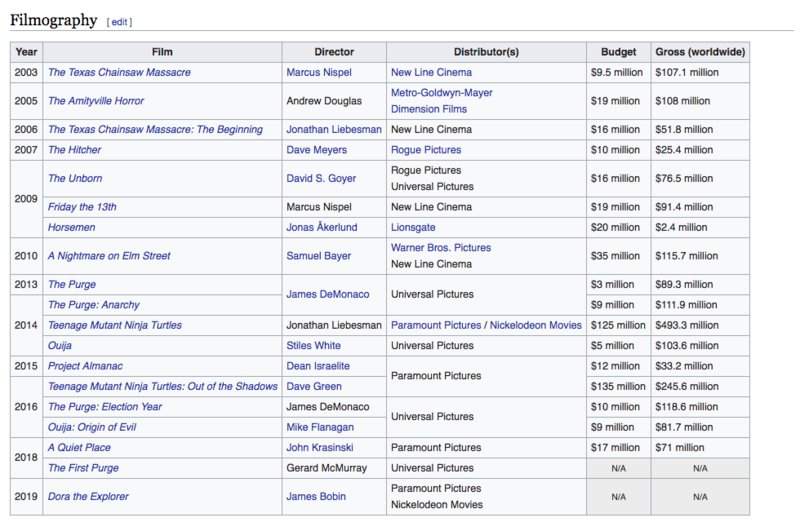 Looking at their filmography below, it’s no wonder for their statement as their remakes/reboots haven’t fared as well as their original content, both financially and critically. The studio is currently coming off excellent box office success with their newest horror flick, A Quiet Place, which more than doubled its production budget in its first weekend in theatres. The success of that film, as well as Blumhouse’s Get Out (which wasn’t only a money-machine but also an Oscar darling), shows a trend that audiences are getting more and more willing to spend their money when the excellence is there, regardless of whether they’ve heard of the property.